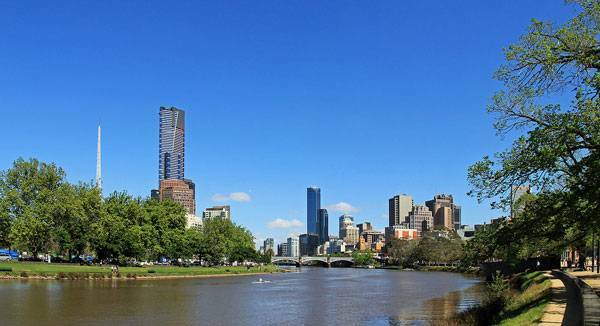 A look at some of the world’s most outstanding riverbank projects. 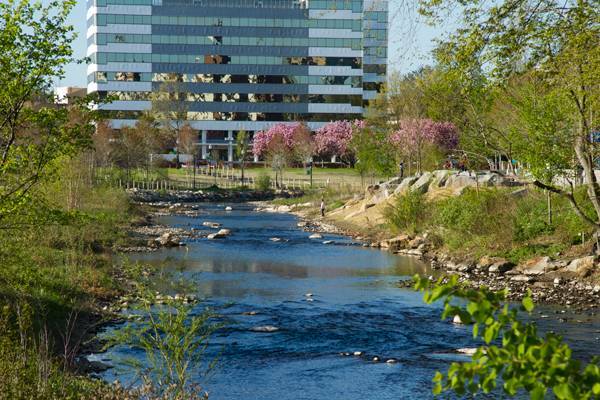 When it comes to building sustainable cities, discussion often centers on urban rivers and their surroundings. In many cities around the world, rivers have been channelized, transformed into receptacles for waste disposal, or just forgotten when they are no longer needed for industrial and commercial uses. 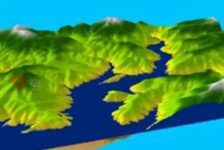 As a consequence, these rivers have lost their innate ability to aid in flood control, seen their aquatic life destroyed, and gone unnoticed due to construction of barriers that blocked their access and hid them from residents’ eyes. 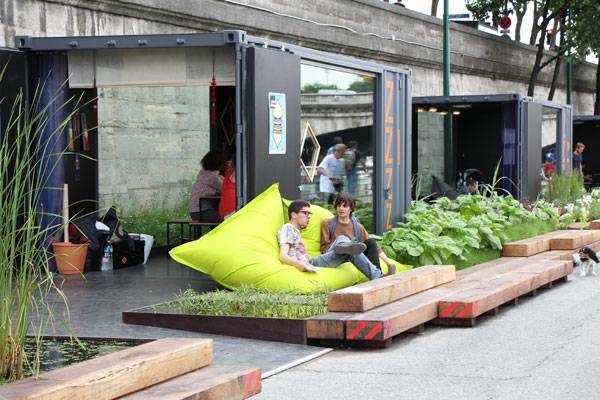 But in other cities, once dead spaces along rivers are being brought back to life and transformed into recreational areas, meeting the demand for outdoor spaces from quickly growing populations. 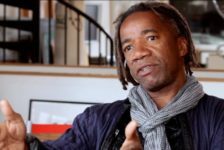 As in music, where the notes and the pauses have equal importance, an increase in constructed areas must harmonize with green space to guarantee liveable cities for the future. Riverbanks can set the new pace for this composition. 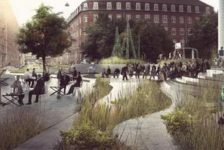 The following list offers some of the most inspiring river transformations that have improved the relationship between city residents and nature, inviting people to look at rivers not as obstacles, but as vital and connective urban components. 10. Berges de Seine, Paris, France, by Franklin Azzi Architecture The combination of historic bridges and monuments along the Seine River has made this place one of the top tourist attractions in the world. Some may think that the designation of the famous riverbanks as a UNESCO World Heritage Site means that the place cannot be changed. 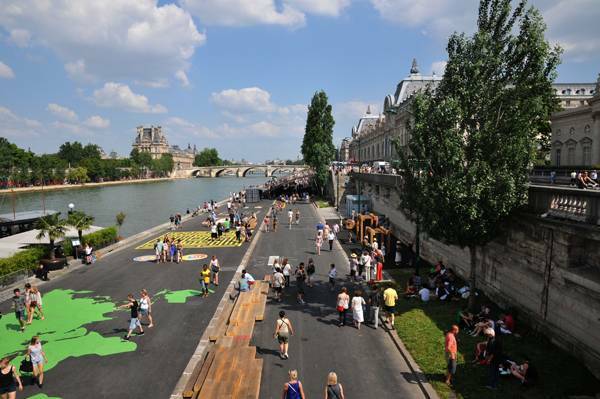 But the initiative of the local authority, known as Berges de Seine, is showing that historic riverbanks can be modernized to adapt to the current needs of a city. 9. Melbourne Southbank Promenade, Australia, by Denton Corker Marshall Surrounded by a variety of arts and cultural buildings and featuring cafes, shops, and restaurants, the Southbank Promenade stretches along the south side of the Yarra River as one of the most important cultural and social hubs in Australia. The design was completed in the early 1990s when the former dock site was the subject of an urban renewal. The promenade paved the way for important developments that transformed the area into a successful business center. It is still fundamental to attracting investments and enticing people with a variety of leisure options and splendid views of the river and the city. 8. Mill River Park, City of Stamford, Connecticut, USA, designed by The Olin Studio in collaboration with the Mill River Collaborative Although there are several stages to be completed in the upcoming years, some important parts of the total 28-acre area are already finished, and they are significantly improving the residents’ quality of life by enabling people to experience nature without leaving the urban environment. Read more in our review of the Mill River Park. 7. Louise McKinney Riverfront Park, Edmonton, Alberta, Canada, designed by Dialog As Edmonton is one of the fastest-growing cities in Canada, urban revitalization projects such as the Louise McKinney Riverfront Park, which created a 15-hectare green space in an area formerly occupied by a landfill, are fundamental to keep the balance between increasing constructions and nature. 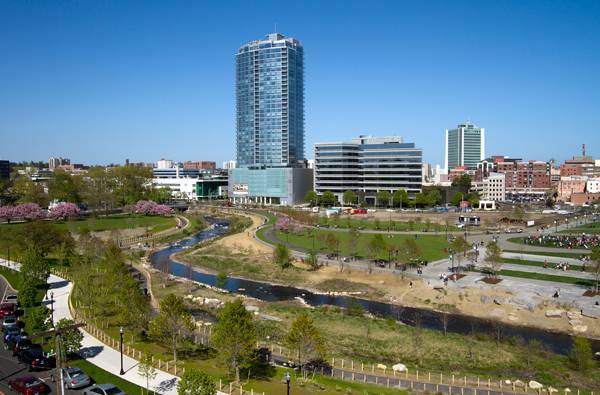 The preference for a verdant open space over more complex solutions has provided an unobstructed river view for developments adjacent to downtown and a lawn for recreation and special events. 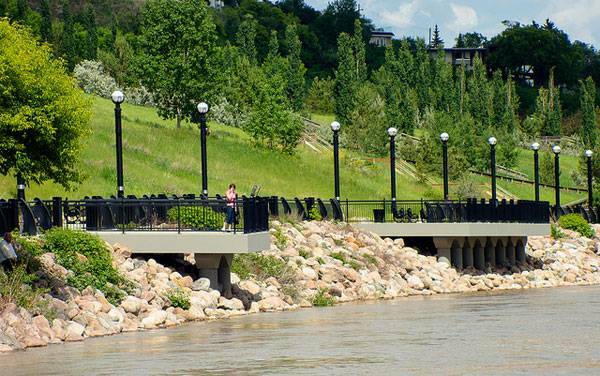 The park is the gateway to trails, motivating people to explore the outdoors beyond the city boundaries and allowing newcomers and longtime citizens to celebrate the riverfront during special events. 6. Kallang River Bishan Park, Singapore, designed by Atelier Dreiseitl This project is part of Singapore’s program of water management, which aims not only to guarantee an efficient drainage and supply system, but also to transform areas located along the water into recreational and social spaces. Completed in 2012, it occupies a total area of 62 hectares redesigned around a restored sinuous river to offer green spaces, restaurants, playgrounds, and a look-out built using recycled concrete from an old channel. WATCH: Have you met the Friends of Kallang River @ Bishan Park? 5. 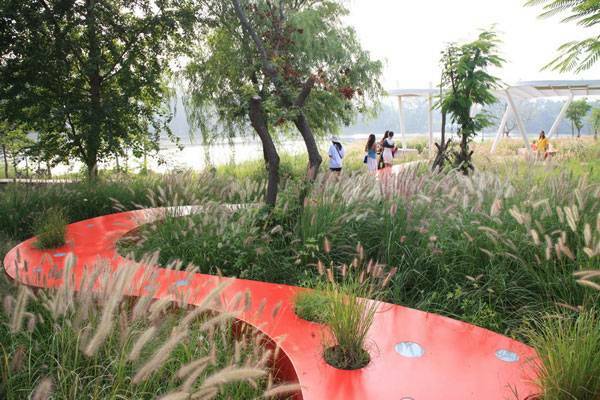 The Red Ribbon Park, Tanghe River, Qinhuangdao City, Hebei Province, China, by Turenscape The 500-meter-long red ribbon was the surprising solution found by the designers to preserve natural habitats and create recreational and educational areas along the river. 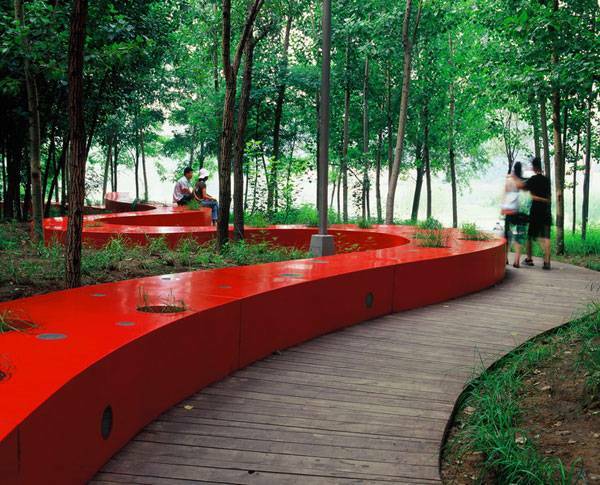 Made of fiber steel, the ribbon stretches along the riverbank, working as a winding seating component and integrating the walk pathways to the diverse spaces in the park. The contrast of the “red ribbon” with the green areas during the day becomes even more interesting at night, due to red glowing light installed inside. The project was started by Mayor Lee Myung-bak in 2003, and, although it faced opposition, its implementation proved that its benefits outweighed its costs. 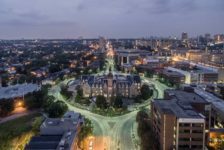 The landscape that replaced the typical urban concrete space and motorized lanes now attracts tourists and investors, promotes sustainable transportation, preserves cultural heritage, and provides flood control. It turned the city into a sensitive environment, while promoting its social and economic development. 3. 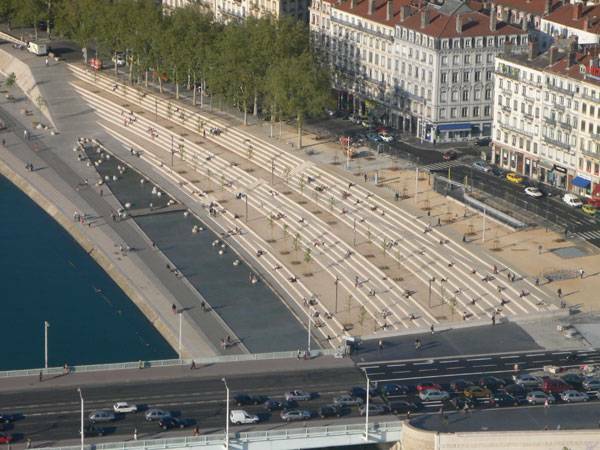 The Rhone River Banks, Lyon, France, by In Situ Architectes Paysagistes The population of Lyon was given a 10-hectare linear space for recreation when this winning project for the competition for the improvement of the Rhone River Banks was completed in 2007. Formerly used as a car park area, the east side of the river is now a dynamic space featuring walkways and bicycle lanes that facilitate exercise and promote sustainable transportation. The Rhone River Bank. Credit: IN SITU Architectes Paysagistes. 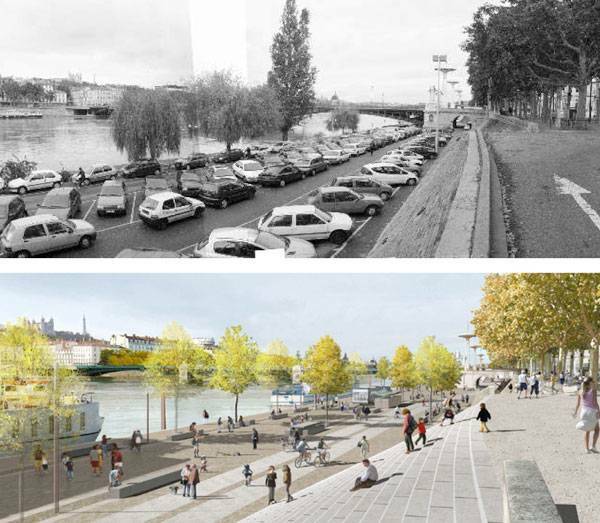 Before and after – The Rhone River Bank. Credit: IN SITU Architectes Paysagistes. 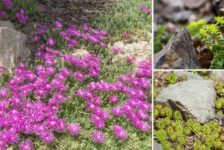 Read more in our review of the Rhone River Bank. 2. Zhongshan Shipyard Park, Guangdong, China, by Turenscape This park was built in an abandoned shipyard, with the main goals of preserving the environment and historic heritage. 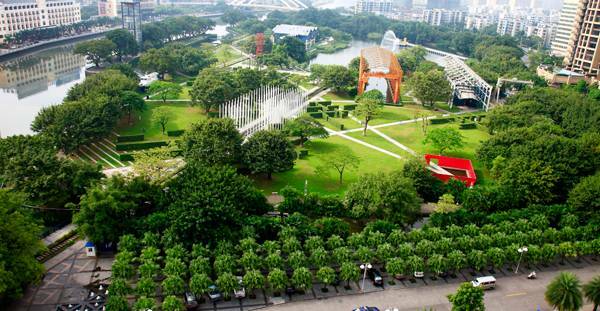 With the creation of solutions such as an island to preserve trees and regulation of the water level in the Qjiang River in the early 2000s, the landscape architects showed leadership in environmental practices. 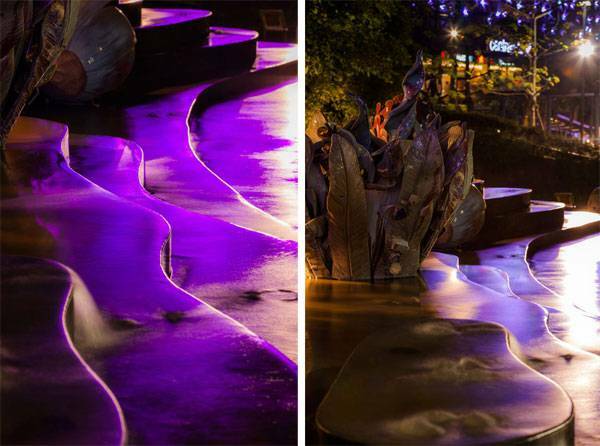 The principles of reutilization and recycling of natural and man-made materials were also followed when creating new forms that resulted in an artistic reconstruction of the brownfield. Read more in our review of the Zhongshan Shipyard Park. 1. Rio Madrid, Spain, by West 8 and MRIO Arquitectos The area along the River Manzanares in the center of Madrid was completely changed after the completion of this project in 2011. The project was designed to reintegrate the river with the city. This huge transformation included the construction of tunnels to accommodate car traffic, leaving the ground level free for the construction of gardens, and the creation of pedestrians ways that preserve the city’s heritage and link the river to the other parts of Madrid.